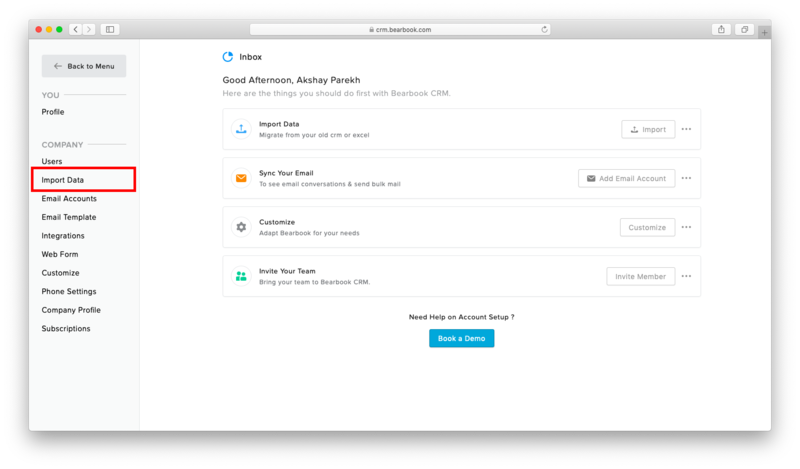 In Bearbook CRM, a user can also import data in contacts from the CSV file. Right now we are only supporting CSV file to import data in contacts. From the home, click on More and select settings. From the side panel, select 'Import Data' option. 1.select 'Contacts' from the dropdown and click on 'Select CSV Files' to choose the CSV file from your window. 2.In the second step, you will see a form containing fields of Basic Information, Social and Address. In every field of this form, you will see the heading name of your CSV file in the drop-down. 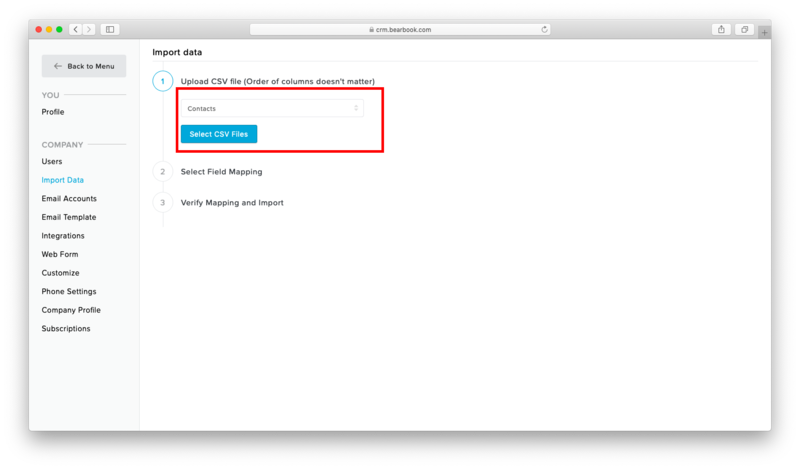 select the field as per the data from the drop-down in your CSV file. For example, If you have 'Number' field in your CSV file and you want to use it as a Phone then select 'Number' in Phone's drop-down. 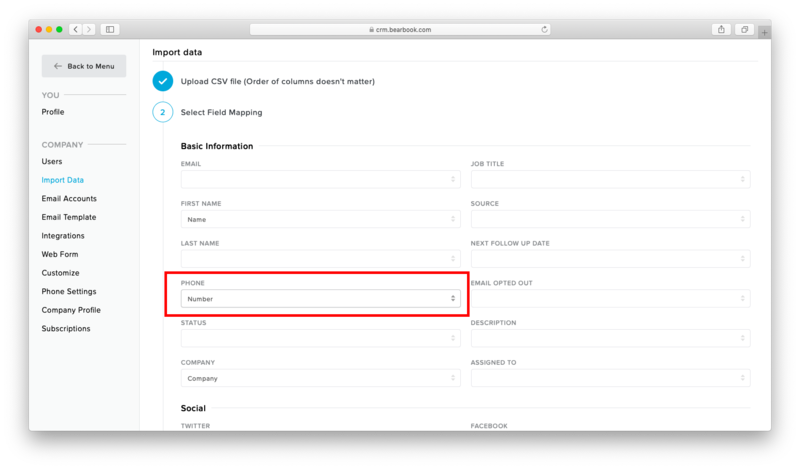 3.In the third step, you will see the sample list of your CSV file.Verify it and If it's perfect as per your need then click on 'Import' button and you will see that contacts in your contacts list. If you want to make any changes in the list, you can do it by clicking on 'Rearrange' button and again edit the form which.